The City of Chino Hills actively supports local businesses, and to foster strong community support of our local merchants, the “Shop Chino Hills First” marketing campaign was developed. The Shop Chino Hills First campaign strives to make residents aware of the power of their shopping dollar. We encourage them to look for opportunities to spend their money in their own community. As you know, shopping locally supports community businesses and also helps to generate sales tax revenue to pay for City services. Residents can show their shopping “smarts” by contributing to their own community every time they shop or support local business. Check the map for the City's boundaries and shopping centers. Each local purchase you make — and each local service you use — builds our economy, helps pay for City services, and affects the overall quality of life in Chino Hills. Spending money locally results in businesses having the resources to create jobs. When a local business prospers and grows, the results benefit everyone! The holiday season is a great time to return the investment in our community, by supporting local business and shopping locally. 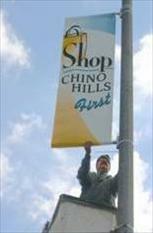 Banners that reflect the campaign logo will be installed near retail centers in Chino Hills two times a year during key shopping seasons to remind residents in the City of Chino Hills to support local business. 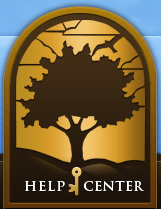 An online directory of shopping centers and businesses is available. Residents are being encouraged to look for the Shop Chino Hills First window decal and shop Chino Hills first, whenever local merchants can meet your needs! Local businesses deserve community loyalty. They are our friends, neighbors, and a vital part of our community.